This indicator is no longer being updated. 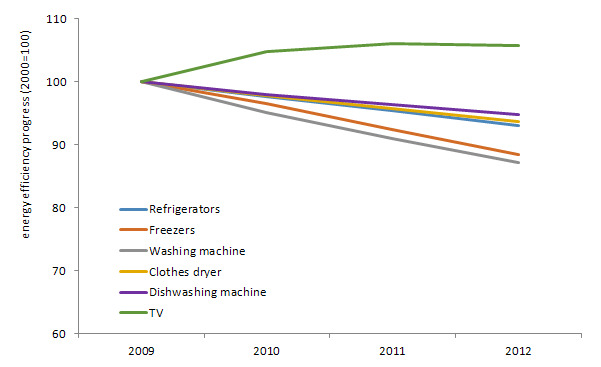 The latest data are available in the following indicators - EN32. 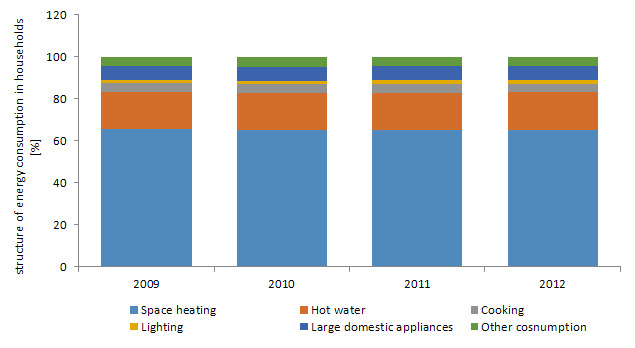 The most of energy in households is used for heating of appartments. 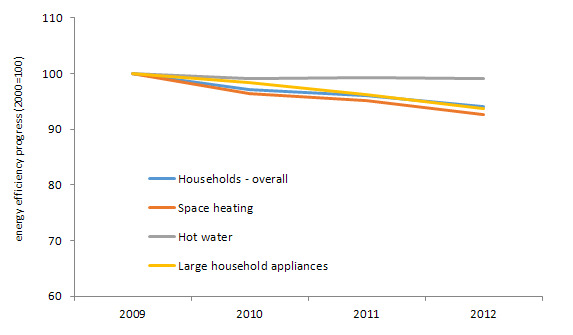 In the period 2009-2012, efficiency of energy use increased a lot, especially on the account of increase of efficiency of energy used for heating.